Brew the tea and then pour it hot into a punch bowl with the palm sugar. Using a muddler, crush the sugar and stir until dissolved. Add the remaining ingredients, grate nutmeg and cinnamon atop the punch, and slip in an ice block or ladle into ice-filled punch glasses. 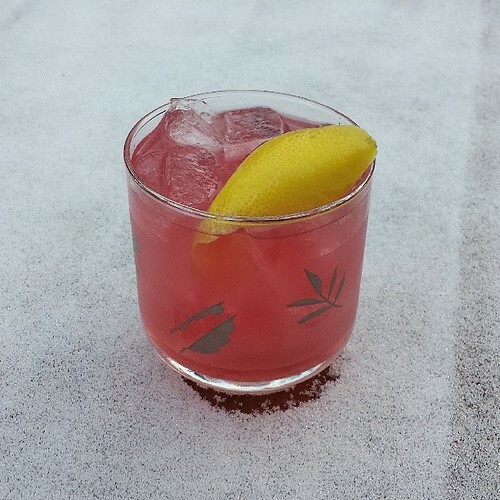 Shake and strain into an ice-filled rocks glass, garnishing with the lemon peel. 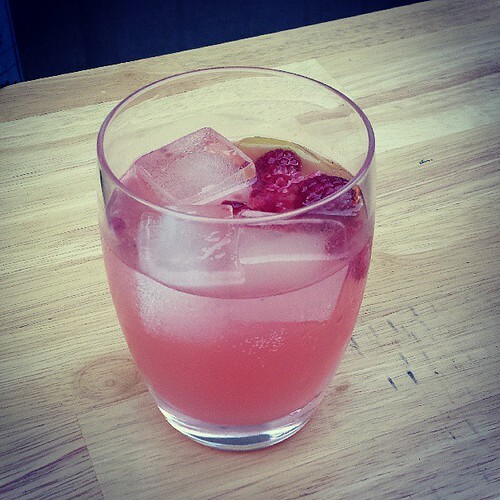 Infuse the aquavit with a couple dozen or so raspberries. This can be a quick infusion; about an hour is fine. I used Krogstad Festlig but feel free to substitute others. Then make an oleo-saccharum with the lemon peels and sugar — Michael Dietsch explains how here. Combine this with the aquavit, leaving the macerated berries in, along with the lemon juice, Pavan, and sparkling wine. Add a block of ice if you have it and ladle into ice-filled glasses. Combine all ingredients and mix well. Increase the amount of Tabasco if more spice is desired. 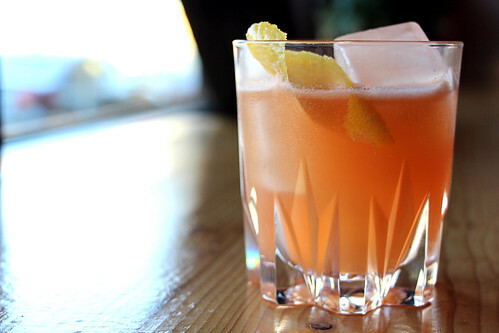 Build in a rocks or collins glass with ice, stir gently, and garnish.